Thanks for visiting the website of Dr. Christopher Murphy, Dr. Lisa Howard, and Southern Maine Orthodontics - combining new technology with a commitment to quality and patient comfort, Dr. Murphy and Dr. Howard will make your orthodontic experience both pleasant and rewarding. Our goal is to provide the highest quality orthodontic treatment for all our patients, with a personal touch, in a supportive and caring environment. We love what we do and it shows! Visiting the orthodontist is very different than it has been in the past. 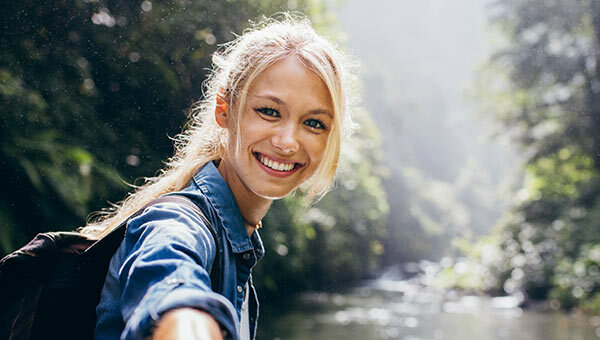 There are many treatment options available today, including state of the art metal and clear braces, nearly invisible aligners called Invisalign, and 3D scanning that eliminates impressions. Choosing the right orthodontist and type of orthodontic care is just the start. Our practice is not only focused on you achieving a beautiful and healthy smile but also providing you with the highest level of patient care in the Scarborough, ME area. Dr. Murphy heads an orthodontic team that is friendly, knowledgeable, committed and very enthusiastic about helping you from the moment you walk in the door until treatment is completed. 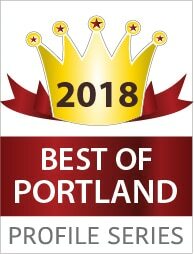 Our practice is proud to have been featured in the "Best of Portland 2018 Profile Series" for our commitment to exceptional orthodontic treatment and care! We will be respectful of your appointment time. We do our best to stay on time so you can too. Our goal is to make orthodontic treatment affordable for everyone. Multiple payment options are available with interest-free financing and multiple family member discounts. We are always available to answer any questions or concerns you may have. Throughout the years we have witnessed the positive effect that excellent orthodontic care can have on the lives of our patients! Our reward comes from seeing the beautiful smiles we help create and the enhanced self-confidence that develops during treatment. Contact Southern Maine Orthodontics today to find out how we can help you create the smile of your dreams! We proudly serve the orthodontic needs of patients in Scarborough, Saco, Gorham, South Portland, Portland, Cape Elizabeth, Biddeford, Old Orchard Beach, Westbrook, and Kennebunk, Maine. I was lucky enough to work with Dr. Murphy in Connecticut. He is intelligent, talented, fun and most of all incredibly caring. He takes a genuine interest in not only patients, but also his team. He provides a relaxing and inviting experience for patients and families. He takes pride in creating gorgeous smiles. I highly recommend Dr. Murphy and Southern Maine Orthodontics! I had the pleasure of knowing Dr. Murphy professionally during residency, where he was an outstanding role model for other residents. During that time, I witnessed his personal attributes and quality of work first hand. He is meticulous, efficient, down to earth, and very knowledgeable. He provided all of his patients with great smiles and enjoyable experiences throughout their treatment. Dr. Murphy is simply an excellent orthodontist and a great person!! I highly recommend him.